FLS is a boutique accounting firm that operates in the small and middle market client space. Although our equity members and all of our current staff have regional firm backgrounds; in forming FLS we wanted to create a different experience for ourselves and our clients than we previously experienced being with larger firms. In larger firms, partners spend much of their time on administrative matters, and less time with clients. At FLS our partners are directly involved in all aspects of our client engagements, so you have more personal attention at the partner level. The decision makers in our firm are not located in another city, possibly hundreds of miles away. You will be dealing directly with the decision makers in our firm, which enables us to respond to any issues you encounter quickly and efficiently. Large firms tend to have stringent billable hour requirements and require significant overall hours. Long hours tend to burn out staff after several years, leading to staff turnover. When staff leave or get promoted, that typically means new staff on your engagement. New staff require training, and clients often end up providing much of that training. Staff turnover results in inefficiencies and lost time. At FLS we offer our team members a flexible work environment which allows for a balance of work and personal lives. We are proud to state that we have had no staff leave us since we formed three years ago. Most firms push work down to the lowest level of staff they can in an effort to control cost. However, inexperienced staff take longer to complete the work because they are frequently learning on the job and have many questions. At FLS, we realize that having an audit or consulting project performed places an additional burden on your staff. We want to do everything we can to minimize that burden. Therefore, we only hire experienced staff so that we can perform your engagement quickly and efficiently, with minimal disruptions to your daily work flow. Each of our staff has at least five years of experience in their area of practice, and we realize significant efficiencies from staffing in this manner. On an ongoing basis, we only hire individuals with five or more years of experience so you will not train (or pay to train) our staff on your audit, accounting or tax project. This allows us to be more efficient, and our staff often identify helpful recommendations for your business because of their experience. We utilize blended billing rates, which, together with the efficiencies gained by using experienced staff, allow us to offer competitive pricing. The accounting and consulting firm of Fitzpatrick, Leary & Szarko, LLC has been established on a foundation of more than 70 years of combined professional experience providing guidance and counsel to clients. Click below to check out our company overview. The firm’s members have extensive experience and are highly recognized in the business community for their expertise in providing accounting, assurance, tax and other consulting services. 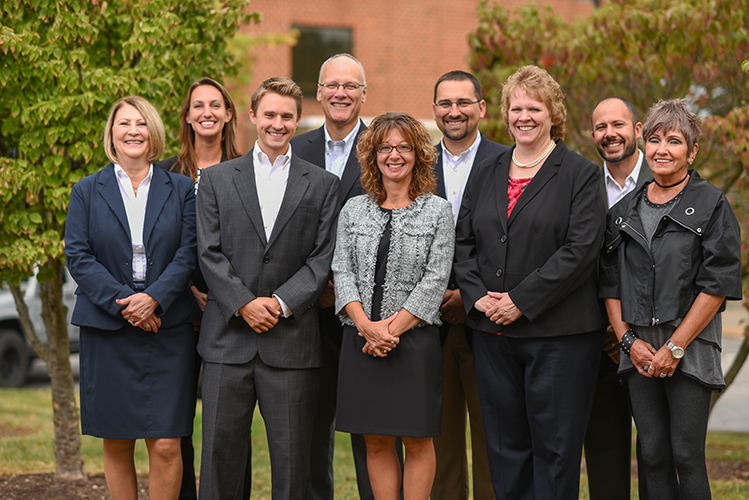 Click below to meet our team.